It took just 80 words for a federal appeals court to deny Kevin Cooper’s most recent plea to avoid execution. But attached to that order was a forceful 101-page dissent by a judge, all but pleading to spare Mr. Cooper’s life. “The State of California may be about to execute an innocent man,” it began. The judge who wrote the dissent, William A. Fletcher of the United States Court of Appeals for the Ninth Circuit, in San Francisco, argued that the police and prosecutors had withheld and tampered with evidence in the case for decades; Judge Fletcher even accused the district court of having sabotaged the case. Compared with the dry, mannerly prose found in many opinions, Judge Fletcher’s passion in Cooper v. Brown is startling. But these kinds of fervent, lonely dissents, urging that a prisoner’s life be spared, have noticeably increased in the last decade, compared with previous years, according to a review of death penalty opinions by The New York Times, as confirmed by experts in the field. In April, Judge Rosemary Barkett of the United States Court of Appeals for the 11th Circuit, in Atlanta, complained of the law’s “thicket of procedural brambles.” Dissenting from a decision by her colleagues, Judge Barkett noted that seven of the nine witnesses in the murder trial of Troy Davis, a death row inmate in Georgia, had recanted their testimony. 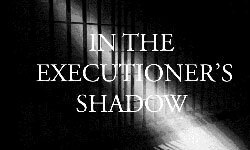 To execute Mr. Davis without fully considering that evidence would be “unconscionable and unconstitutional,” wrote Judge Barkett, who has voted in more than 200 other cases to uphold the death penalty. The dissents rarely have any practical effect in changing the outcome of the cases they address. But Howard J. Bashman, an appellate lawyer in Philadelphia, said such dissents were often directed toward audiences to come: the next appeals court, lawmakers and academics. “You have to think that these judges do have some valid reason for putting all this effort into the exercise than just feeling better about it after they’re done,” Mr. Bashman said. Judge Barkett, whom President Bill Clinton appointed, declined to discuss individual cases but agreed that a dissent tried to persuade many audiences — the first, in her case, being the other judges of her court, who circulate dissents among themselves as they are coming to a decision. Judge Fletcher’s frustration was on display in the case of Mr. Cooper, who he concluded was “probably innocent” of the 1983 murders of Douglas and Peggy Ryen, their 10-year-old daughter Jessica and an 11-year-old houseguest, Christopher Hughes, who were hacked to death in the Ryens’ home. Judge Fletcher, who declined to be interviewed, was appointed by Mr. Clinton. Jesse H. Choper, a law professor at the University of California, Berkeley, said the judge was hardly a fierce opponent of capital punishment. “I don’t see him as someone who is unexceptionally opposed,” Mr. Choper said. In the Cooper case, Chief Judge Alex Kozinski, appointed by President Ronald Reagan, was among 11 of the circuit’s 27 judges who joined dissents. Elisabeth A. Semel, director of the Death Penalty Clinic at Berkeley, which trains lawyers to defend people facing the death penalty, said many jurists had been shaken by the rise of exonerations due to DNA evidence. “I think it’s been shattering to judges who had a fair amount of confidence in the system,” she said. The next step in the Cooper case is a long-shot appeal to the Supreme Court, which Mr. Cooper’s lead lawyer, Norman C. Hile, said was likely to be filed this year. Kent Scheidegger, the legal director of the Criminal Justice Legal Foundation, a group in Sacramento that favors the death penalty, said substantial claims of innocence in such appeals remained rare. In Mr. Cooper’s case, Mr. Scheidegger said, the defendant has been given ample opportunity to exonerate himself. “It is high time to bring this case to a close,” Mr. Scheidegger said. Judge Fletcher argued otherwise. “If he is innocent, the real killers have escaped,” he wrote. “They may kill again. They may already have done so.